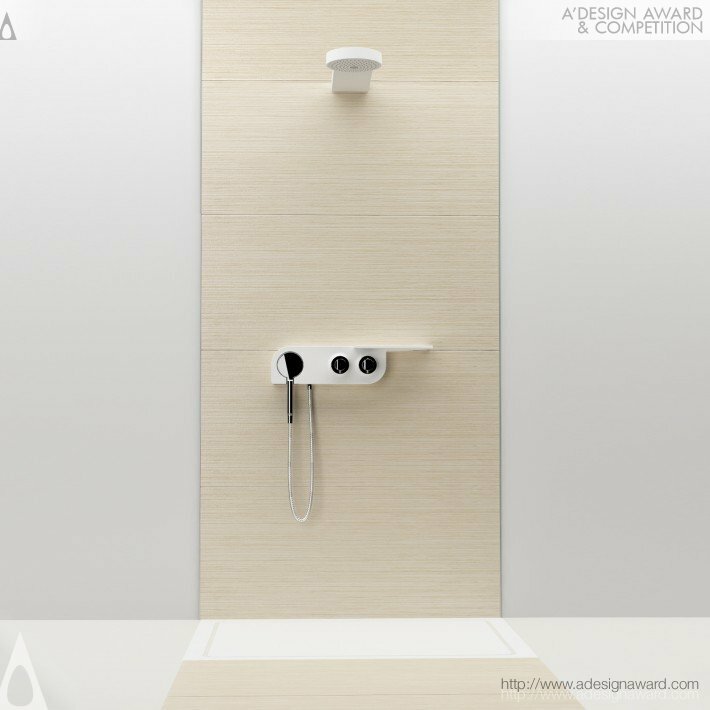 World Design Consortium is interested in design of Showers, Taps, Cabins, Washbasins, Bathroom Furniture and similar projects for interested parties. Please kindly contact WDC for Bathroom Furniture and Sanitary Ware Design consultancy, tenders, jobs, offers and requests. Below, displaying an award winning project by GT/18471519. 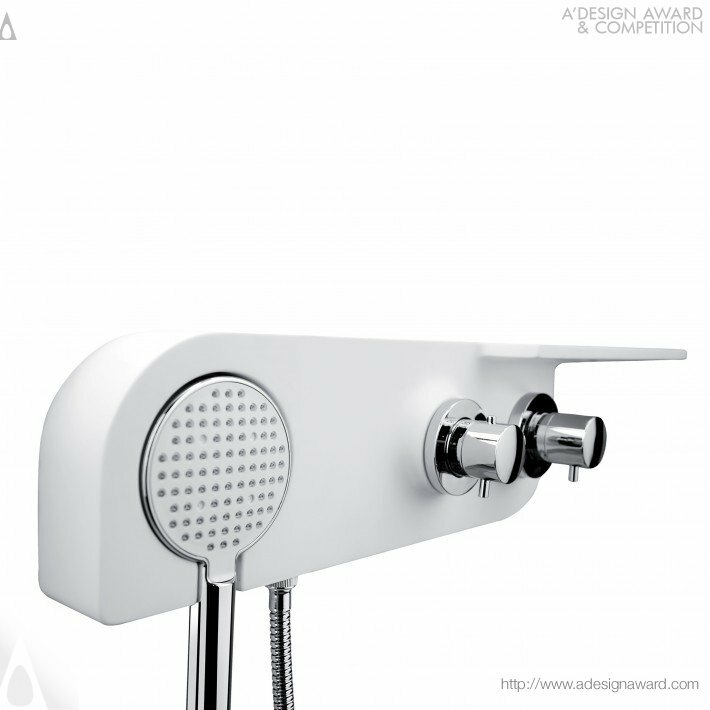 KALLISTO consists of two elements: the group taps and the shower head on the wall. 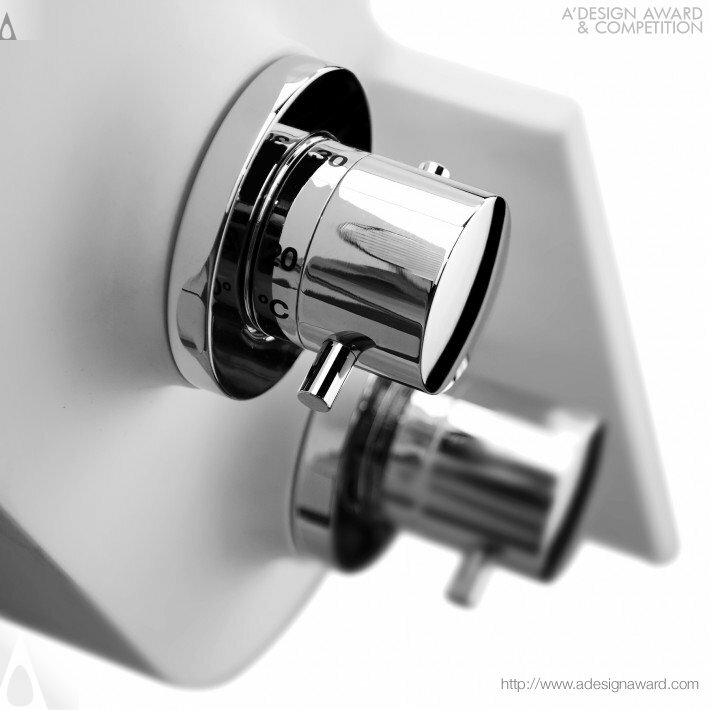 The faucet unit that, in a single formal element, encloses three different functions, has been designed to be able to adapt to any pre-existing flat surface. Inside, there is a mixer taps and a switch, plus of course the attack for the hand shower and the soap holder outside. 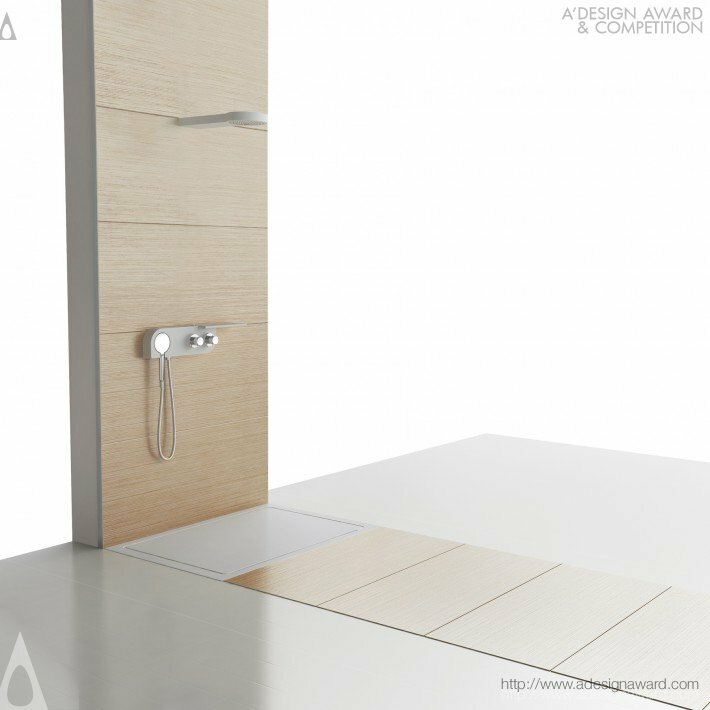 The undeniable advantage is the possibility to replace the existing group without having to break the walls and tiles. 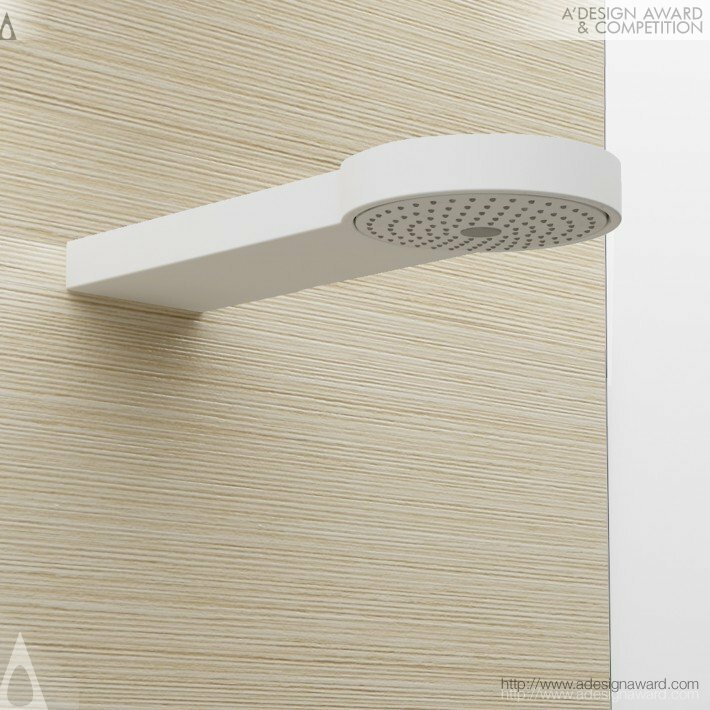 The shower head on the wall was also made to adapt to the most common pre-existing installations. If you wish to have a very good taps group and shower head design, please contact our secretariat and indicate that you wish to work with GT/18471519 for your taps group and shower head project. We will process your request immediately and forward your requirements to GT/18471519. Request Consultancy for taps group and shower head design by GT/18471519. Within the scope of Bathroom Furniture and Sanitary Ware Design, our partners have completed projects such as: Bathroom Set, Multifunctional Bath Complex, Bathroom Furniture Set, Bathroom Collection, Ceramic Sanitarywares, Water Closet, Ceramic Sanitaryware Suit, Lay-On Wash Basin, Washbasin, Bathroom Furniture, Plunger/Brush/Magazine Rack, Sensor Faucet, Executive Bidet, Bathtub, Shower System, Faucet Basin Mixer, Shower, Toilet Bowl, Double Washbasin, Close-Coupled Wc, Wall-Hung Wc, Push Button, Towel Hanger, Bathroom Fittings, Washbasin and Console, Bathroom Sanitaryware, Ceramic Sanitaryware Set, Shower Tray, Bathroom Furniture System, Bathroom Product Line, Furniture, Multifunctional Sanitary Ware and Bathroom Furniture Collection. For more Bathroom Furniture and Sanitary Ware Design works, check our design portfolio.